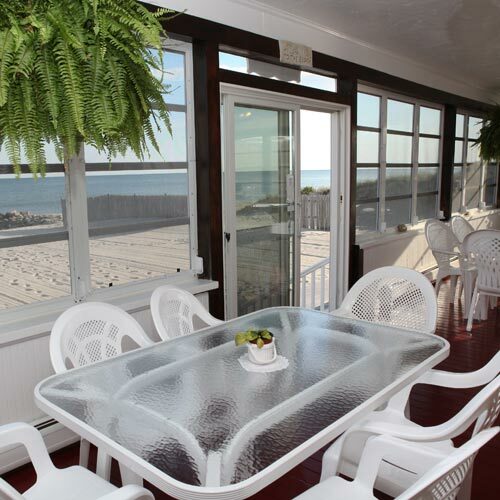 This seaside property includes a century-old 12-room inn with a wraparound veranda overlooking the ocean and an attached all-suite property offering separate living rooms, kitchens and bedroom areas. Breakfast is not included in the rate for units in the all suite-property but is available for an additional charge. Enjoy recreation on a private 90ft sandy beach that is cleaned daily. Complimentary beach towels and chairs are provided to guests. Typically a complimentary baked good and tea is served on the 100-foot-long porch overlooking the Nantucket Sound every afternoon. Smoke free premises. 17 units, some two bedrooms and kitchens. 2-3 stories (no elevator), interior corridors. Oceanfront. 1.2 mi se of SR 28 to Depot St. 57 Chase Ave & Inman Rd Ext 02639 (PO Box 507). 2-3 night minimum stay - seasonal and/or weekends, 14 day cancellation notice-fee imposed, resort fee.